@SOSARTGALLERY: Artisan-Made Cards, Gifts and Artwork 》ShopSOSArtGallery.com. 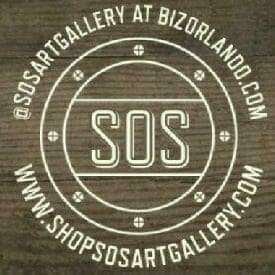 》 Born into a family of creatives, but reborn through a rediscovery of the arts — @SOSArtGallery at BizOrlando.com has become more than self-actualization for Kathryn McHenry — transforming into a legacy of collaborative partnerships with local artisans and the community. Each handmade card, gift and piece of artwork is handcrafted through passion for a deeper purpose 》GET CONNECTED to see what’s on the menu at BizOrlando.com — recently named 2015 Sunshine Blog Award Winner (Business / Money / Marketing / Technology category) — voted by fans as one of the Top 10 Florida community blogs. IMPORTANT NOTE: Commentary expressed within any of the blog / social media outlets by Studio Orlando Services (SOS) are solely opinions and intellectual property of Kathryn McHenry. All images and commentary published online and in print are protected under the ownership of Kathryn McHenry, Studio Orlando Services (SOS). Kathryn McHenry does not grant publication of images or commentary to be re-published elsewhere without prior written consent. Any re-blogs must have prior approval and include credits to Kathryn McHenry, Studio Orlando Services (SOS) at BizOrlando.com.